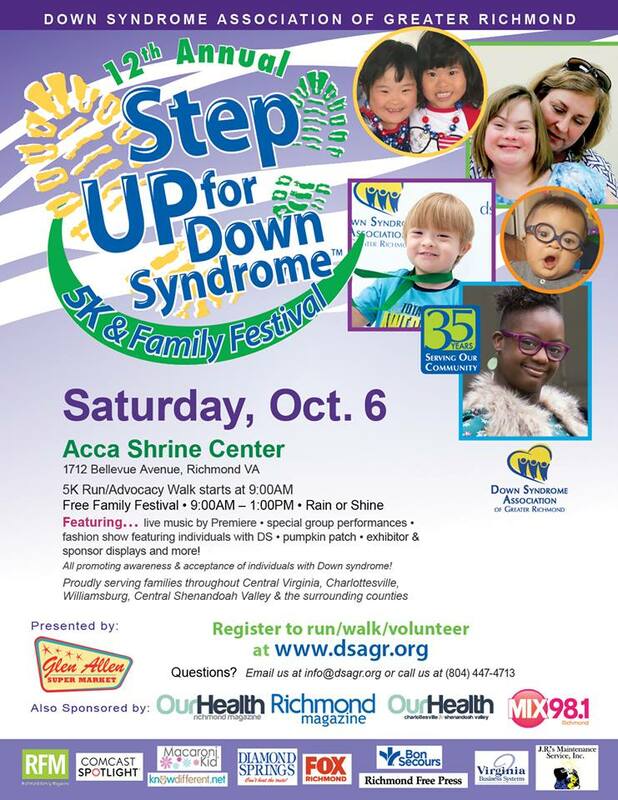 DSAGR’s Step UP for Down Syndrome 5K & Family Festival is coming up on Saturday, October 6th! Register by September 21! Beat the price bump and get a free 5K t-shirt! 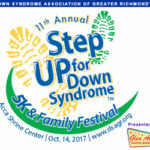 Join the Down Syndrome Association of Greater Richmond as we unite for a common cause and raise funds at the 12th Annual Step UP for Down Syndrome 5K & Family Festival. Whether you have Down syndrome, know someone who does, or just want to show your support, take the first step and donate or register today! Help us spread the word; all are welcome for our day of celebration! 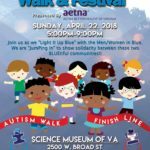 The 5K walk/run through beautiful Byrd Park will begin at 9:00 a.m. Strollers and well behaved dogs are welcome. Festival will follow with music by Premiere, fashion show, games, crafts, face painting, pumpkin patch, and lots of family friendly fun! Food and drinks will be available at the festival.